I personally hate, hate, HATE, packing for vacation/trips. 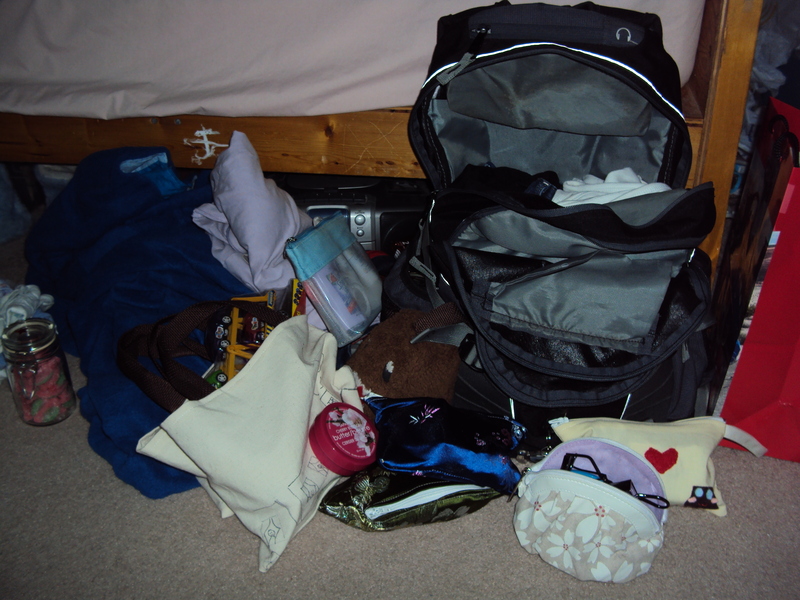 All that mess and you can’t decide what you want to bring… ugh… I really dislike packing. Unpacking is okay just packing. I am very indecisive in what I want to bring and why I need to bring whatever it is I need to bring. So here is what I am packing for my trip. Anyways, I’ll be gone for about a week but have scheduled posts… beauty and stuff like that so I’ll technically be here but not physically typing out new stuff. Hello! 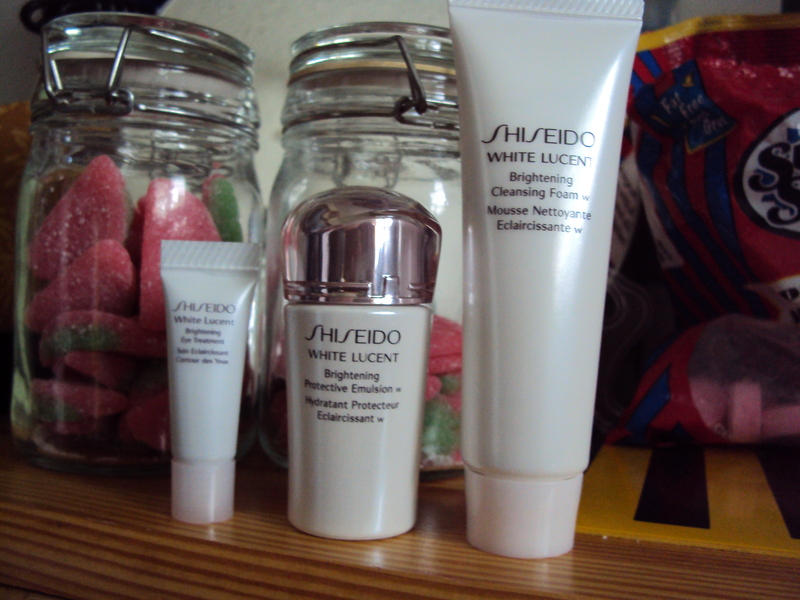 It’s been a while since I’ve updated my skincare routine but it still is the same as usual but recently I got a sample of Shiseido’s White Lucent line. So this included the brightening eye treatment, brightening emulsion (moisterizer), and the cleansing foam. I won’t be starting on this skincare anytime soon as I still have to finish up my previous items such as the Shiseido Lifting Eye Cream from the Beneficiance line and the mattifying moisterizer from the Pureness line. Possible start date would be after my trip to Vancouver and I’m thinking these samples will last about a week or two so perhaps on Aug 8 and depending on when it ends I’ll review the line and put up more information on this line. Please note that this line is meant to brighten up your skin’s complexion and not ”Whiten” it. A lasting creme foundation does it really last? 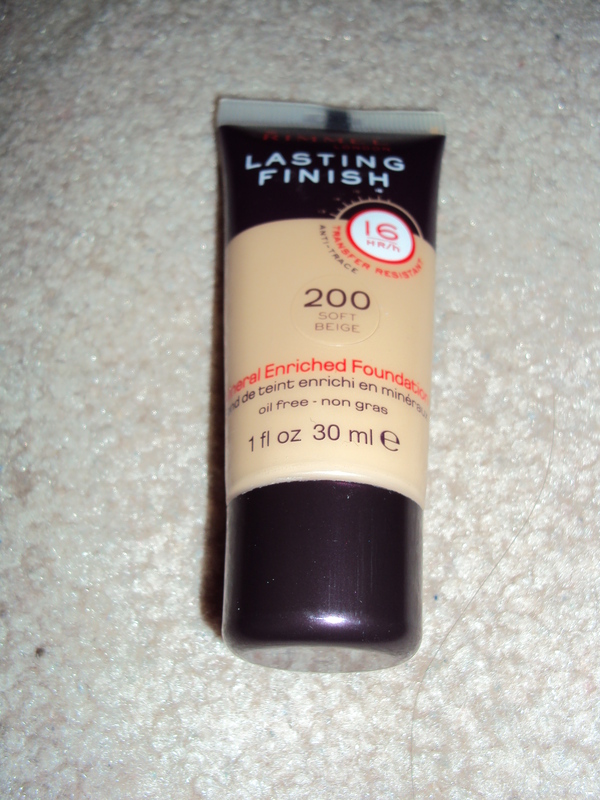 Review: I like the consistency of this foundation something between a solid creme and liquid foundation like lotion. Now this foundation states that it is long-lasting and since my skin is oily it could cause me to look like a oil slick at the end of the day. And well my face does end up like an oil slick if I didn’t use powder to set the foundation but the foundation does last for 12+ hours. Plus for those days where I am going everywhere my face to look fresh at the end of it. So this foundation does last long, coverage is medium and it has a really nice smell. There is a good shade selection but it could be difficult to decide because the foundation in the tube looks darker then when it is blended out on the skin. Would I recommend this product? 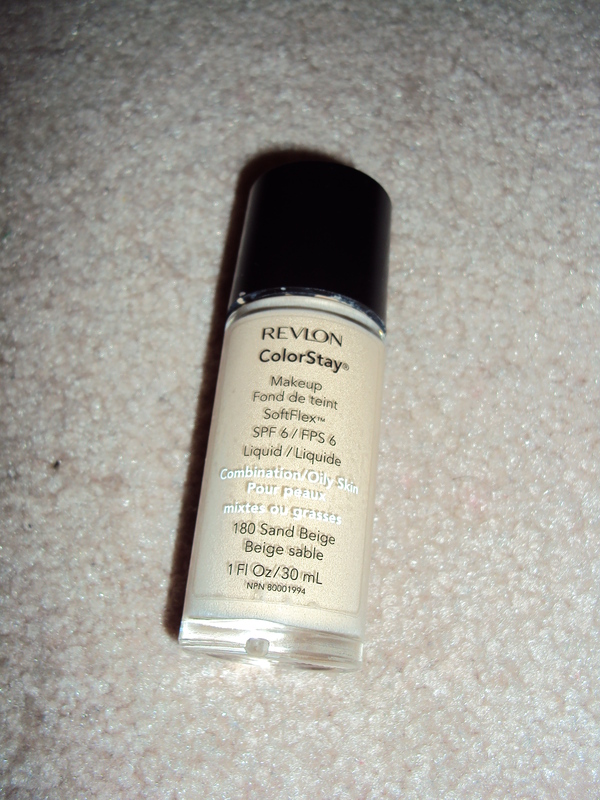 I would recommend this product for those looking for a long lasting foundation but be careful about selecting a shade. Another popular powder discussed on Youtube. Notice how long it takes me to go and get a popular product raved on Youtube. 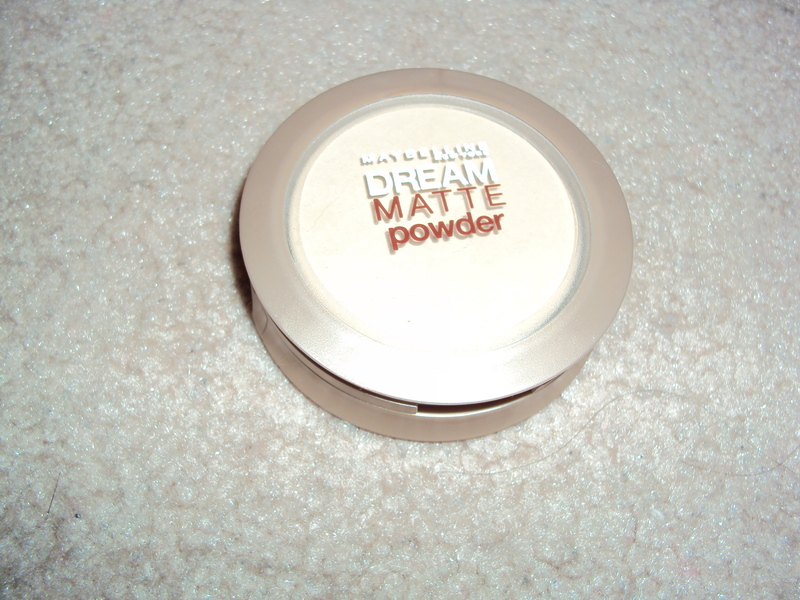 Review: A very well liked powder from Youtubers with oily skin (Rimmel Stay Matte is the other I have yet to try it) and I have to agree with those Youtubere. This powder is very soft and silky and it feels like nothing on the skin (that is how makeup should feel like). My shade is in Medium but I still find it quite light for my summer skin but it still works as a setting powder. Nothing else to say about this product it really does work to control the oiliness of your skin. What I didn’t like about it was that if you applied too much you would end up looking chalky… not to self don’t apply too much. Would I recommend this product? I would recommend this product for those who have oily skin it really does keep the skin matte but for how long varies on how much oil you produce in a day. Do these feet look happy to you? To me they don’t look happy and don’t worry about my pant legs being uneven (I’m just cool like that). So this is what I use to ”Save them”. Works pretty good too. ^_^ I like the candy smell that this emits and my sister doesn’t mind it either. 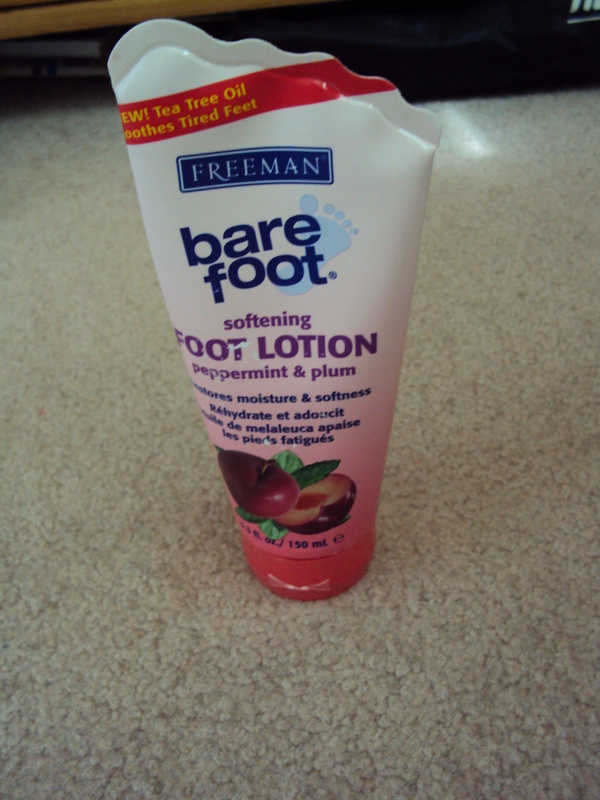 Hooray for great smelling foot lotion. The ever popular foundation used on Youtube and the most loved I suppose. Sorry for the flash and my shade is in Sand Beige. Review: I have not as much experience with foundation as most people would have if they were a makeup artist but I have learned. This was my first liquid foundation and man was it hard to determine what foundation technique I should use with it. I ended up doing the stippling method, foundation brush, and the sponge method never liking any of them but the stippling method (but it was a pain to clean the brush takes 2 days for it to fully dry). Even though this foundation was pretty much liquid it gave the coverage required (medium to full) and worked as all those people on Youtube have said. 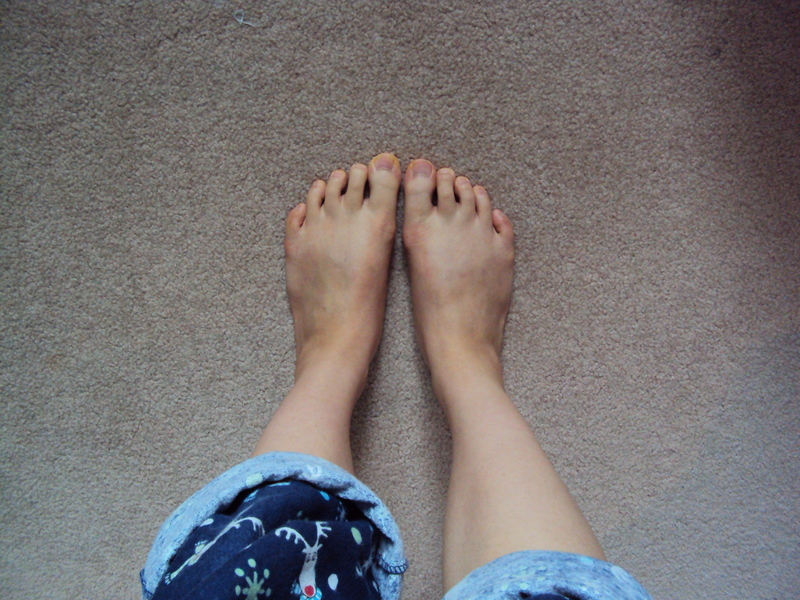 Drugstores do have a good range of colours for people of different skin tones and this colour matched me really well. For the oily skin formula it did control oil a bit but at the end of the day you look like you have a sort of healthy glow due to the oil. Things I didn’t like about it was that it could get very thick and cakey especially in the summer. I like the natural feeling where you can’t feel the foundation on your face but this just wasn’t one of them. Would I recommend this product? I would recommend this for those oily people in the wintertime (who likes wearing a full face of makeup in the summer?) . Though for me I would only reserve this foundation for special events (full coverage) and wintertime. Lipsmackers… sure brings back memories and I hated it back (might have been because of the cakey flavours) but now I’m back in love with them (fruity flavours only). Opps upside down photo… but you get the picture.. get it? I crack myself up sometimes. Review: This is the product to get for those starting off with makeup or wanting to start off with makeup. 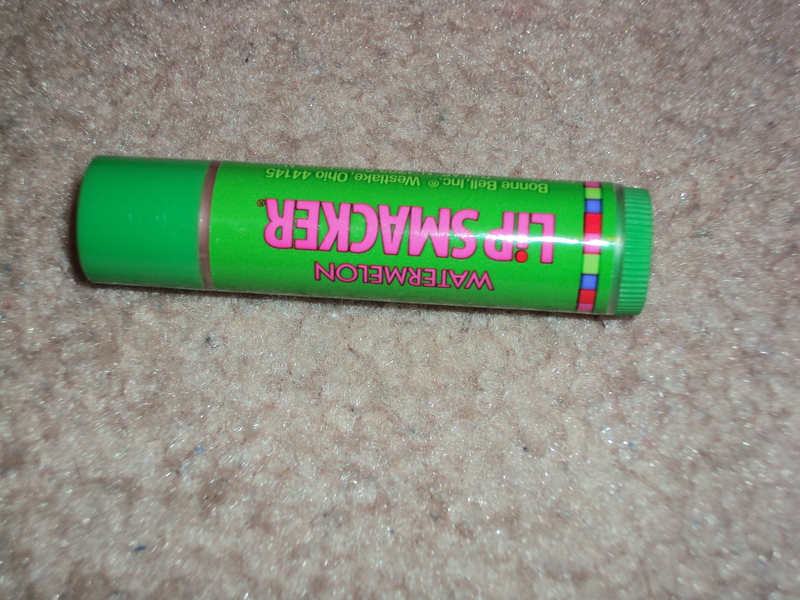 Ironically I started using Lipsmackers when I was in what Gr 3? But I swore off of it mainly due to the way it felt on my lips… something unnatural. My family is a big advocator for natural beauty so back then it made sense that I didn’t want anything to help with my looks. Now it’s a totally different view… I am a huge advocator for girls to wear makeup but I still prefer the natural look. So with Lipsmackers I only wear at home or I apply it on top of a SPF lipbalm (Nivea or SoftLips) don’t want those sun rays to hurt the skin on my lips. Trust me burnt lips aren’t as fun. It is pretty moisturizing and adds a nice sheen to the lips. Would I recommend this product? Of course I would! Who wouldn’t?